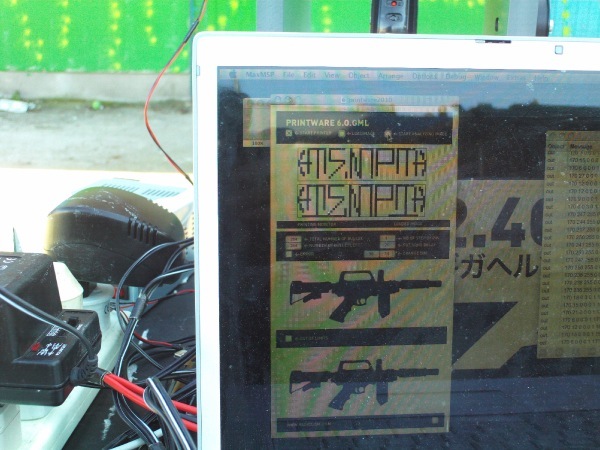 Paintball Shooting Robot Writes Tempt1 Tag | F.A.T. Benjamin Gaulon (aka recyclism) has converted his graffiti writing paint ball robot, PrintBall, to be compatible with Graffiti Markup Language (GML). Tempt1 (in Los Angeles) drew this tag with his eyes using the EyeWriter software, where it was converted to Graffiti Markup Language (GML), and uploaded it to the online GML database 000000book. 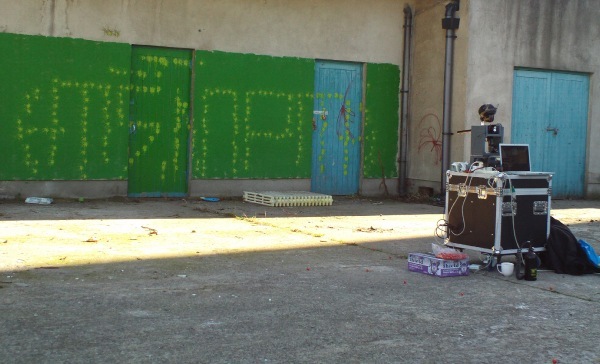 The tag was then downloaded by Benjamin (in Dublin), imported into his PrintBall robot and blasted onto a wall. Yes! Violently shooting information with your eyes is the wave of the future.